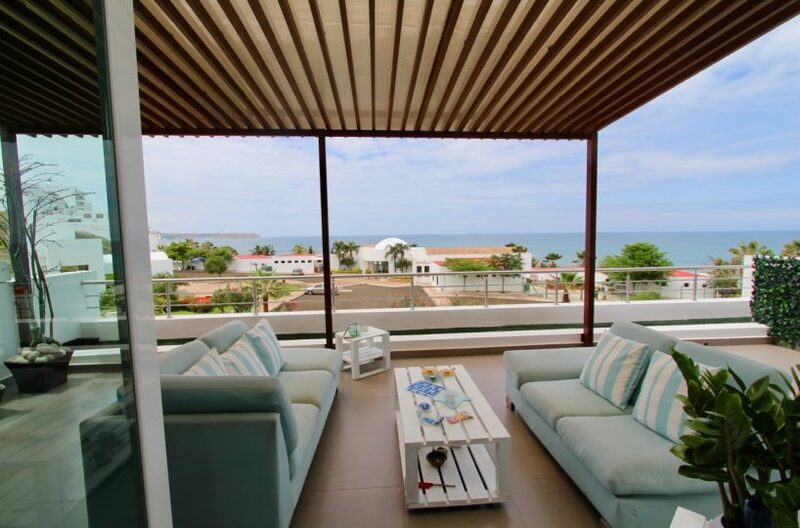 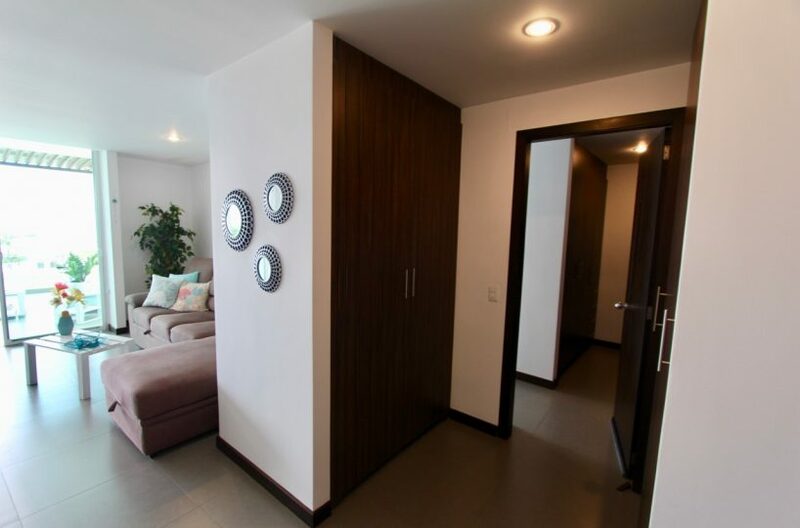 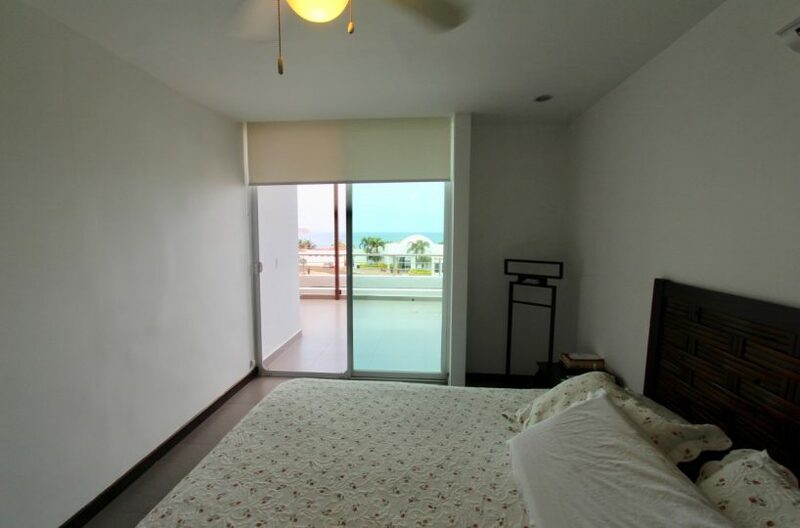 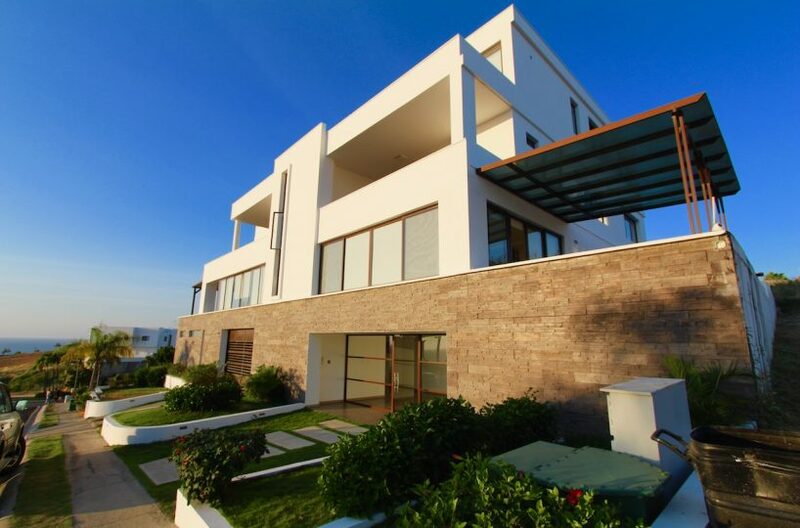 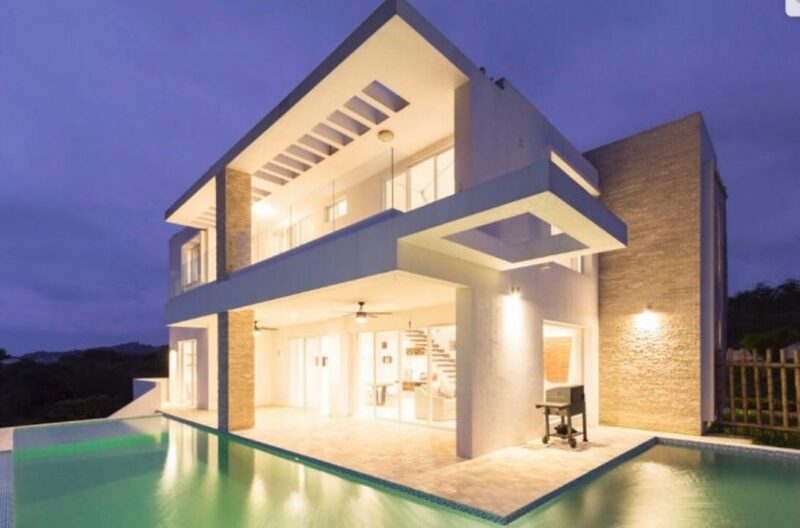 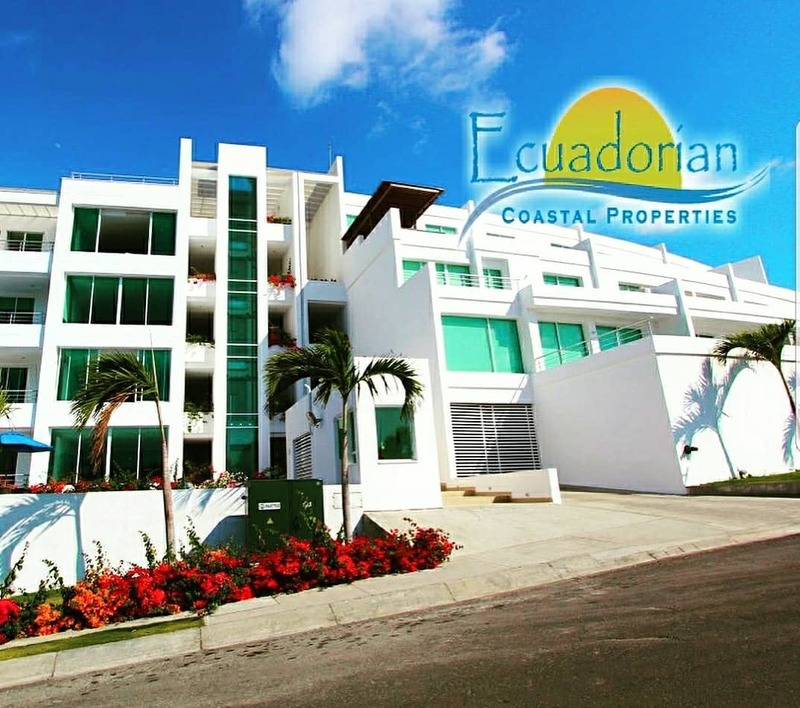 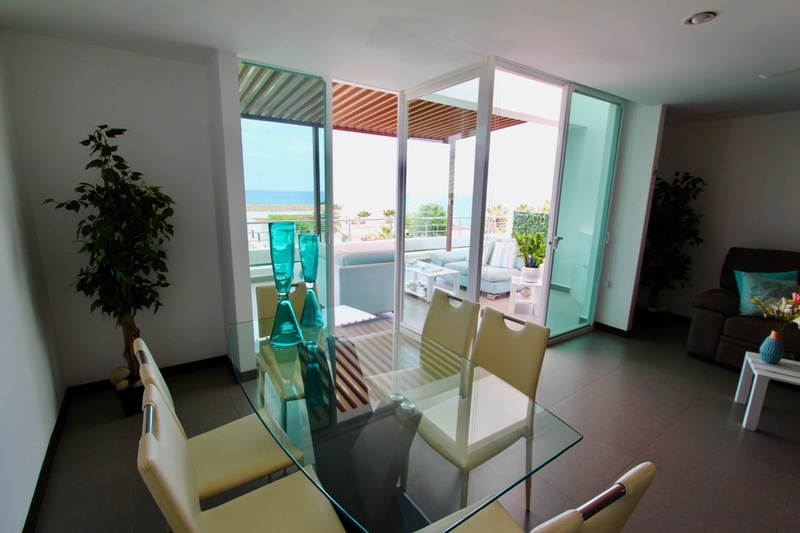 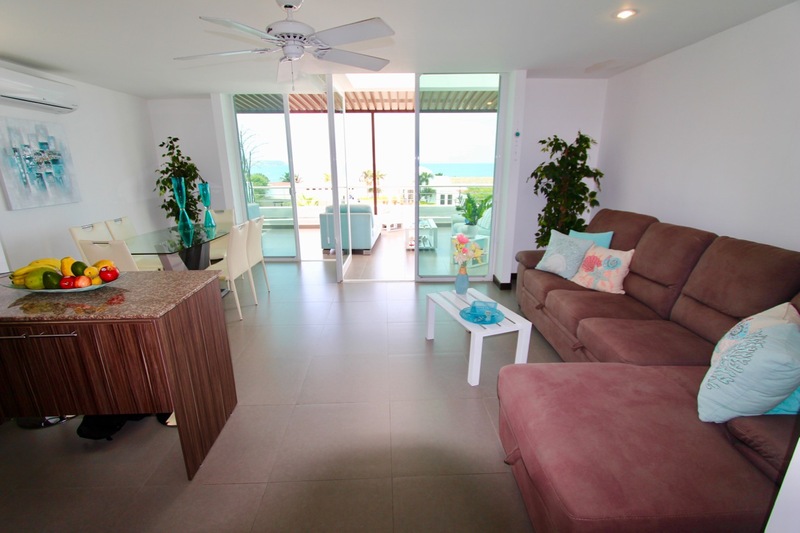 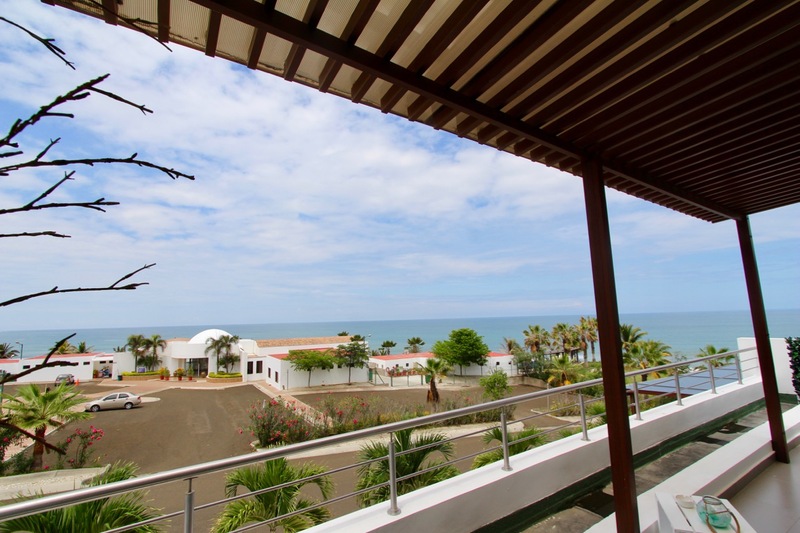 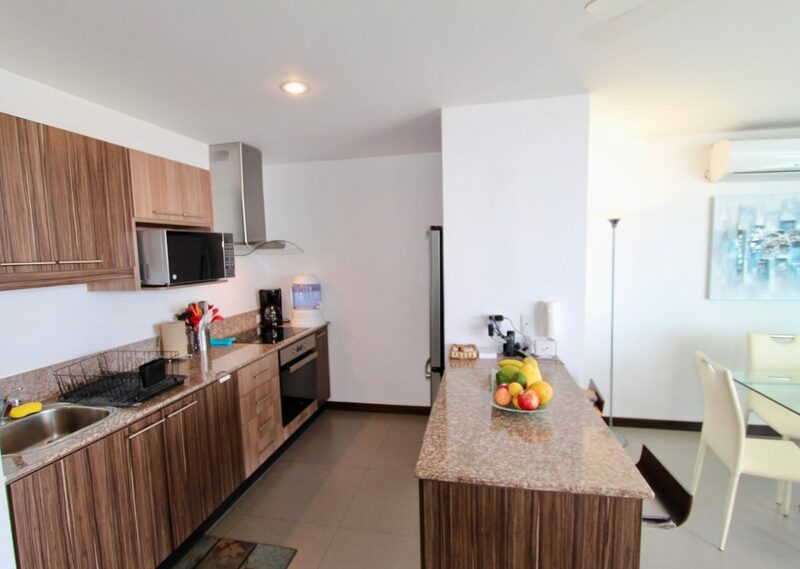 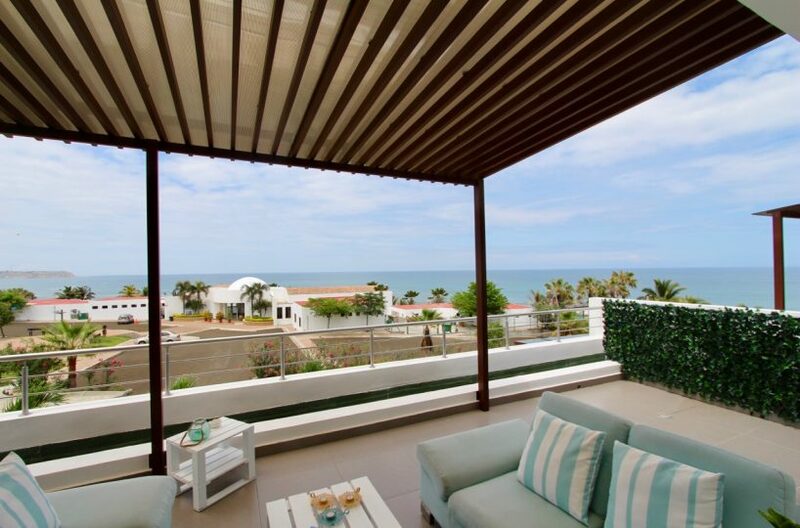 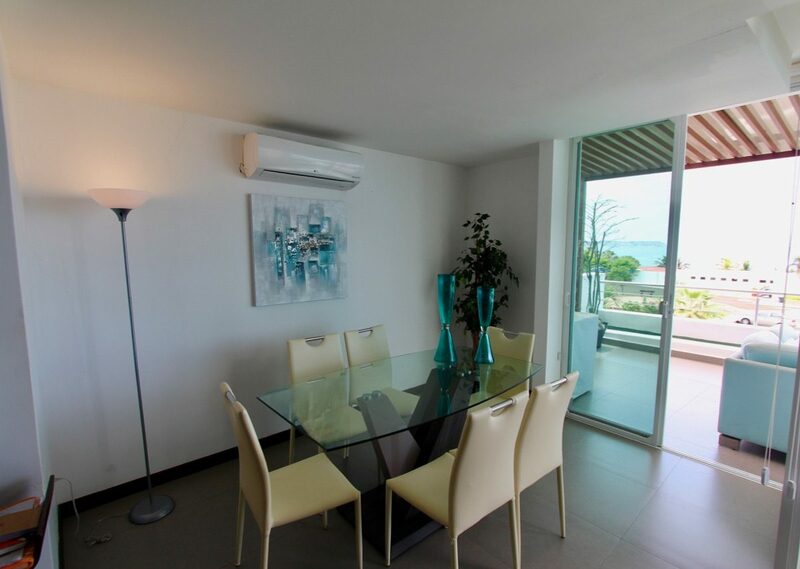 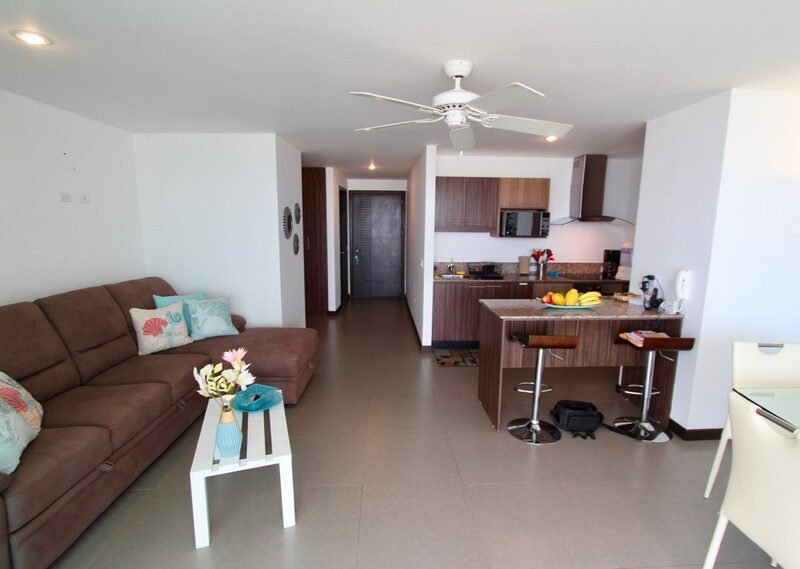 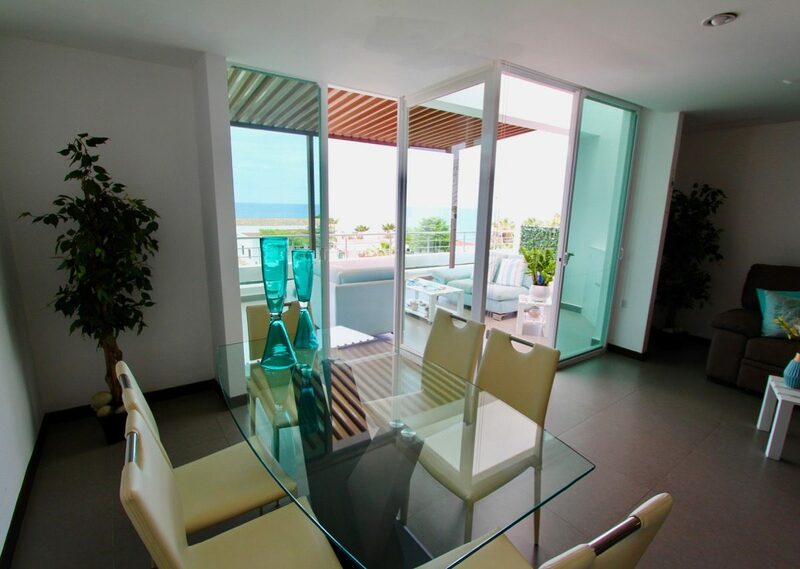 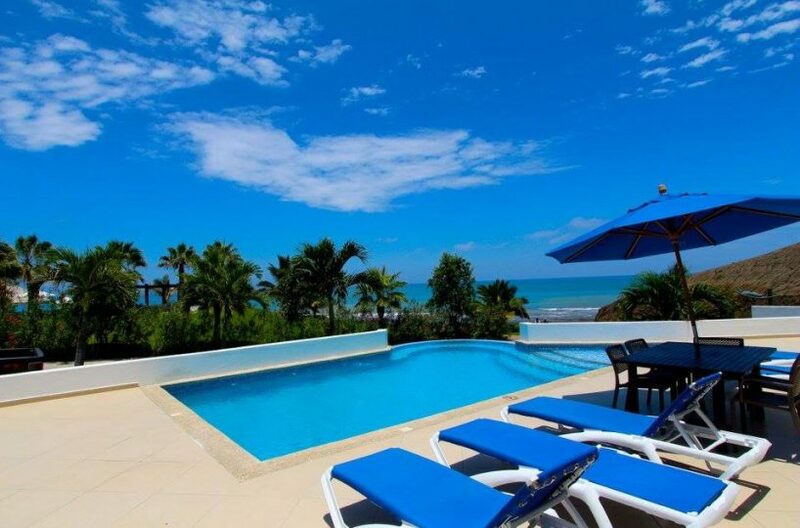 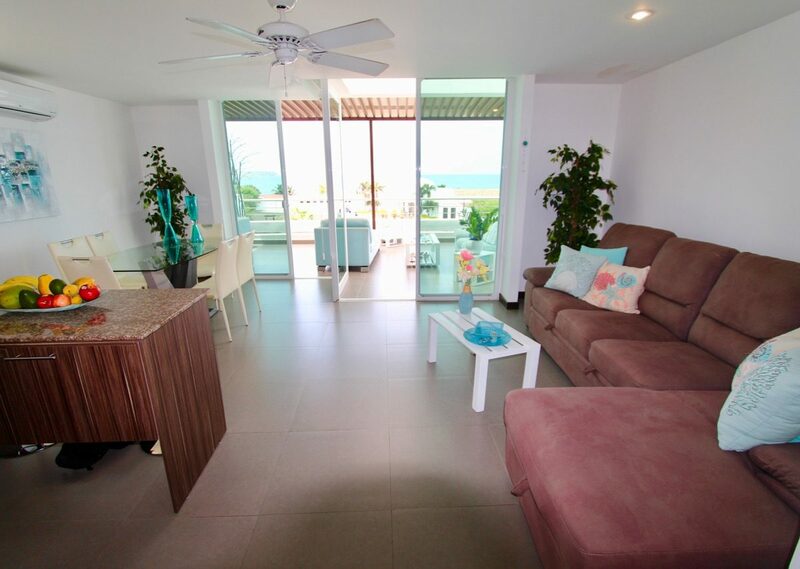 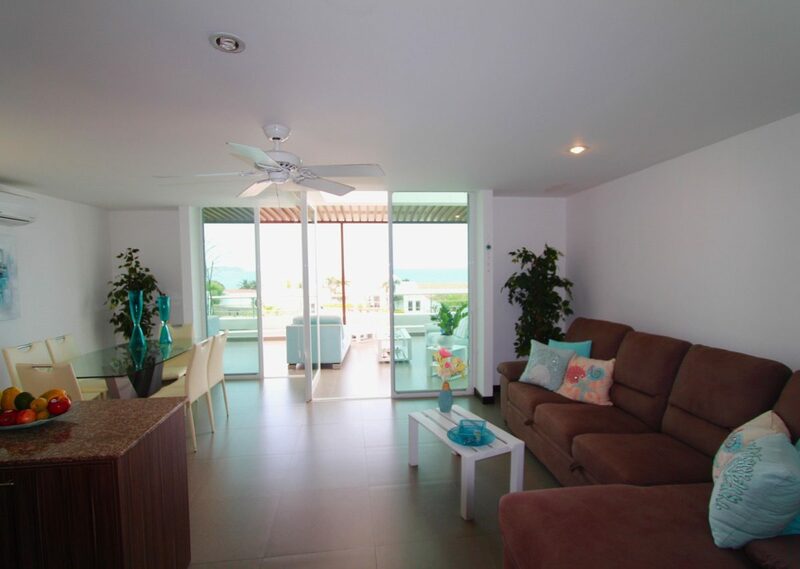 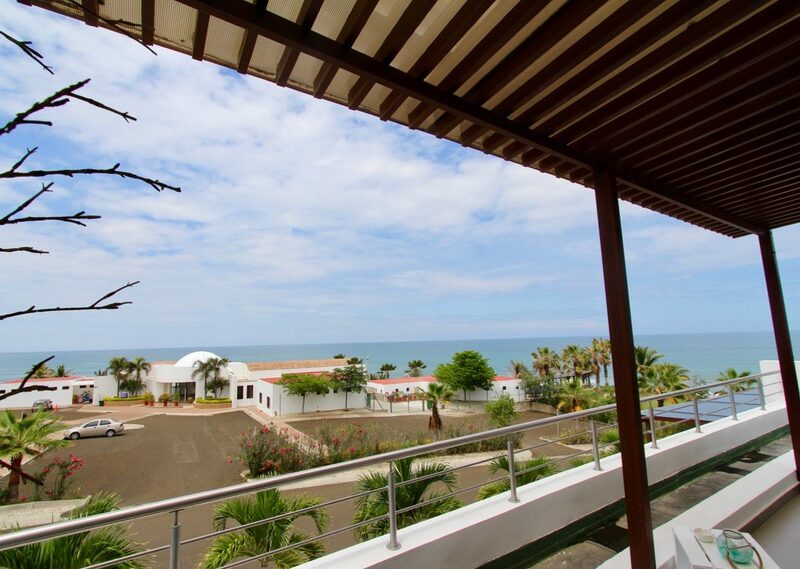 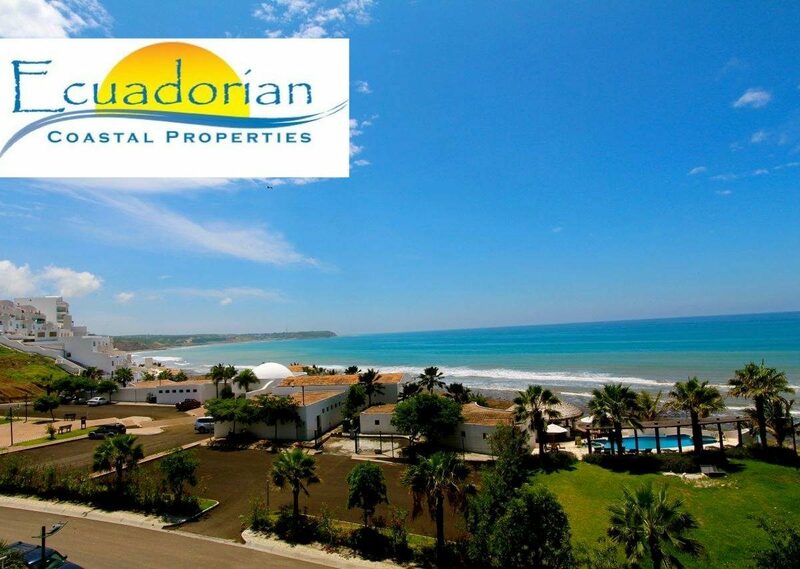 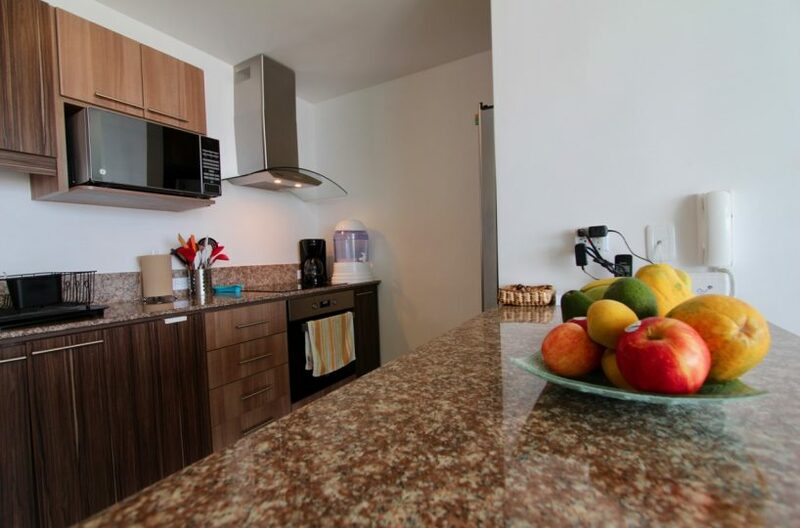 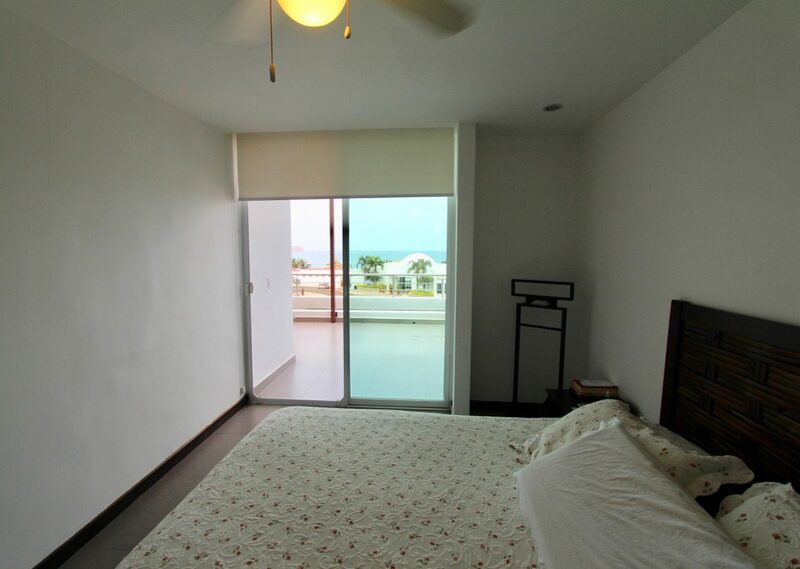 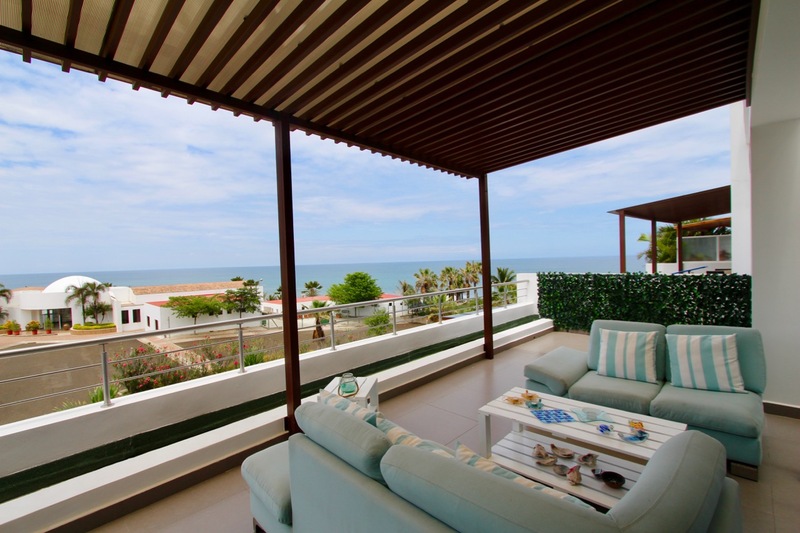 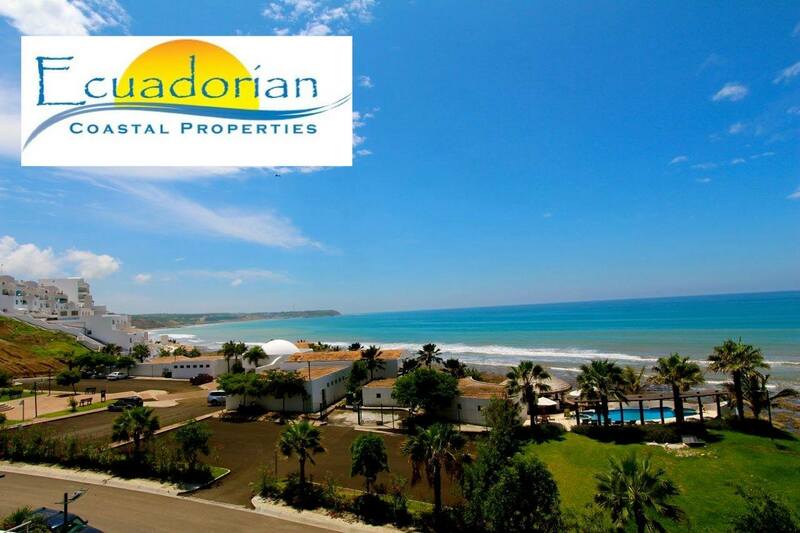 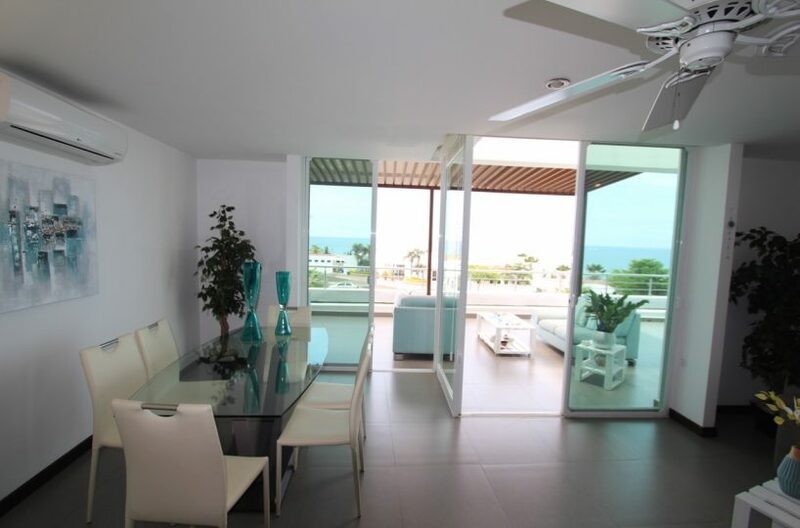 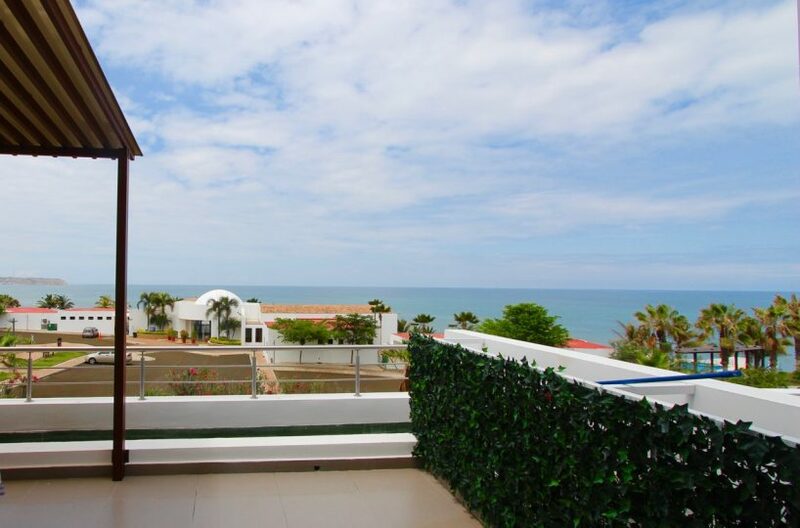 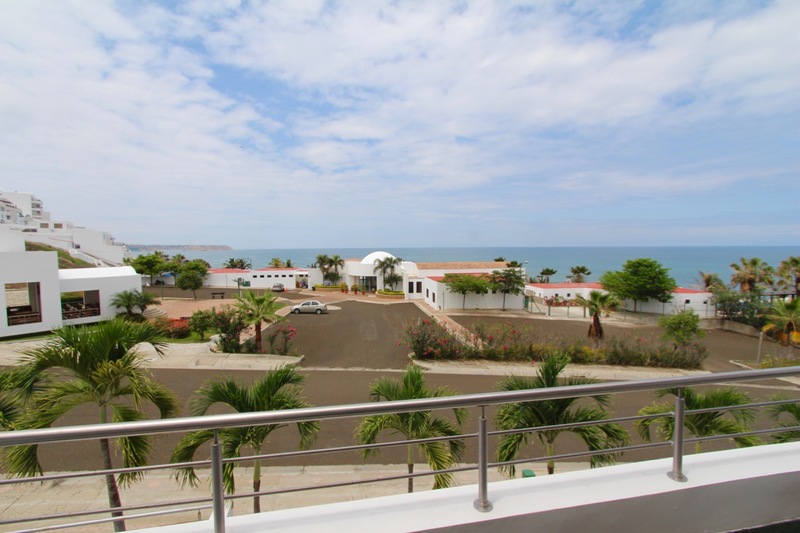 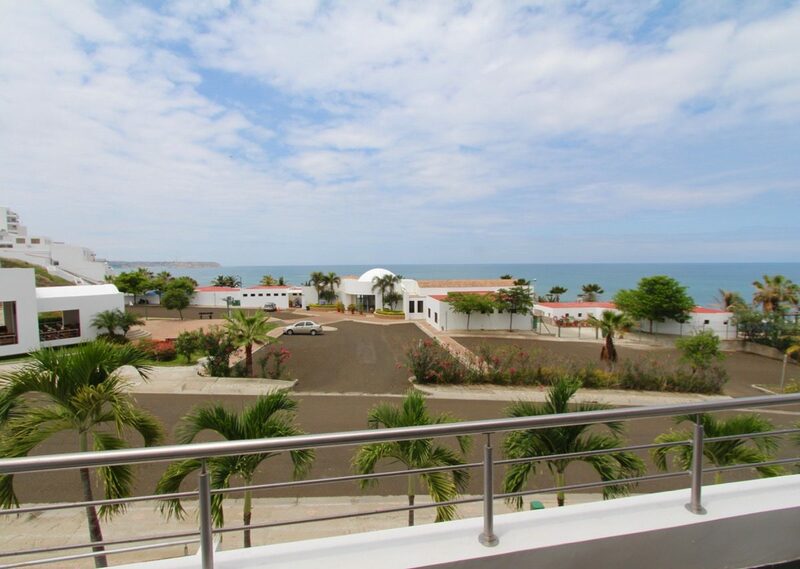 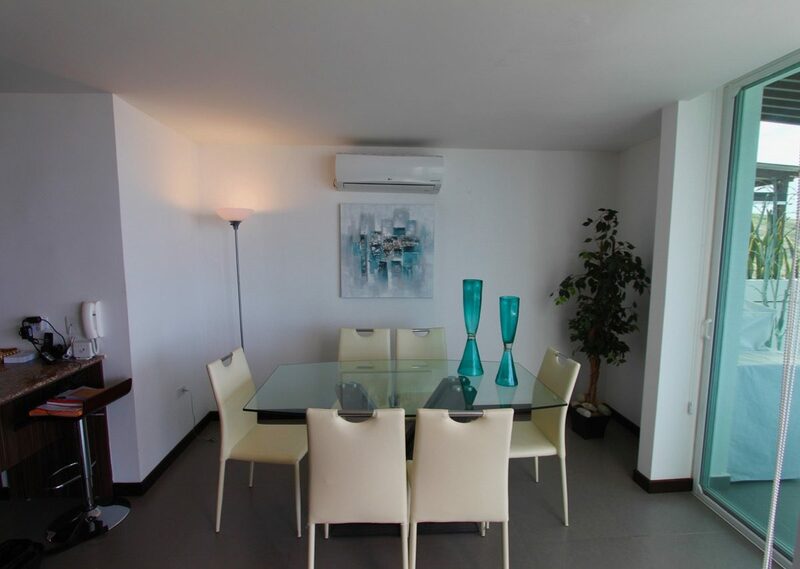 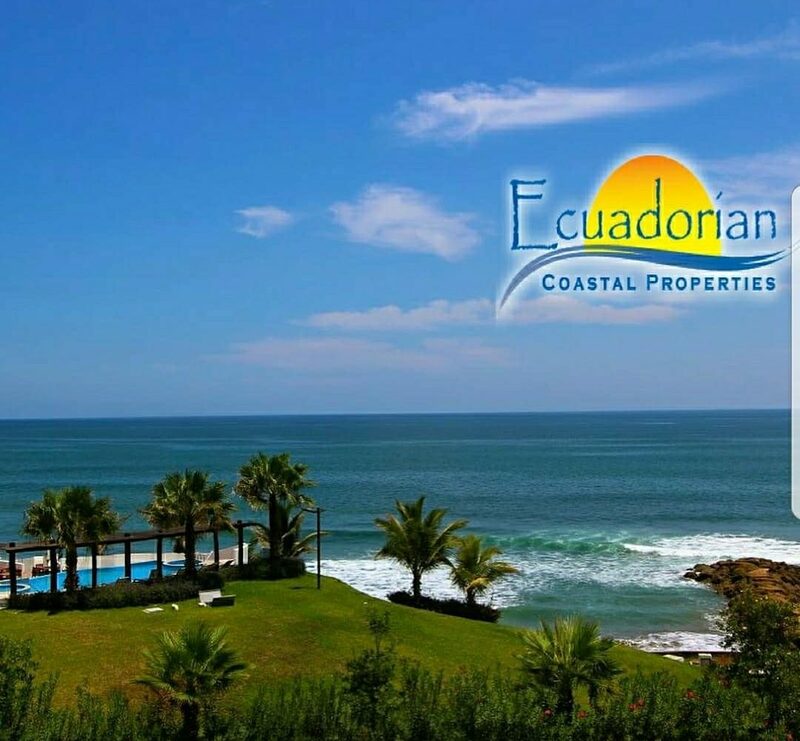 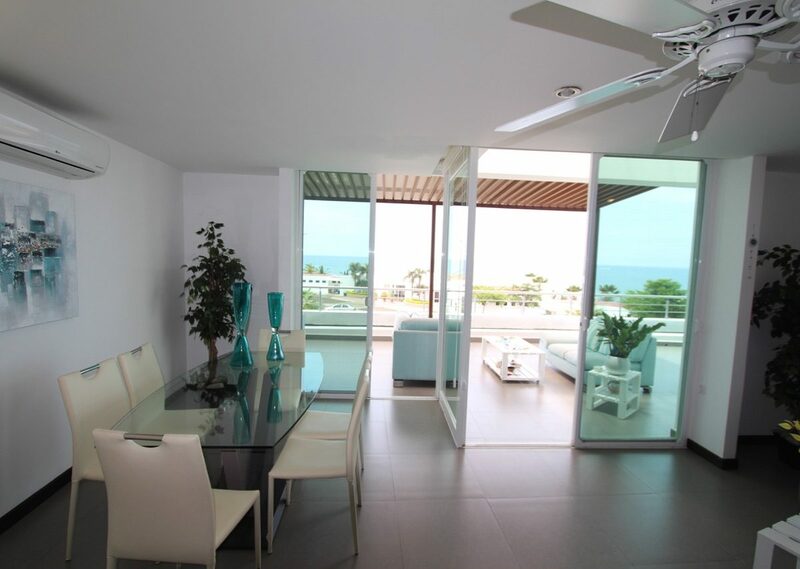 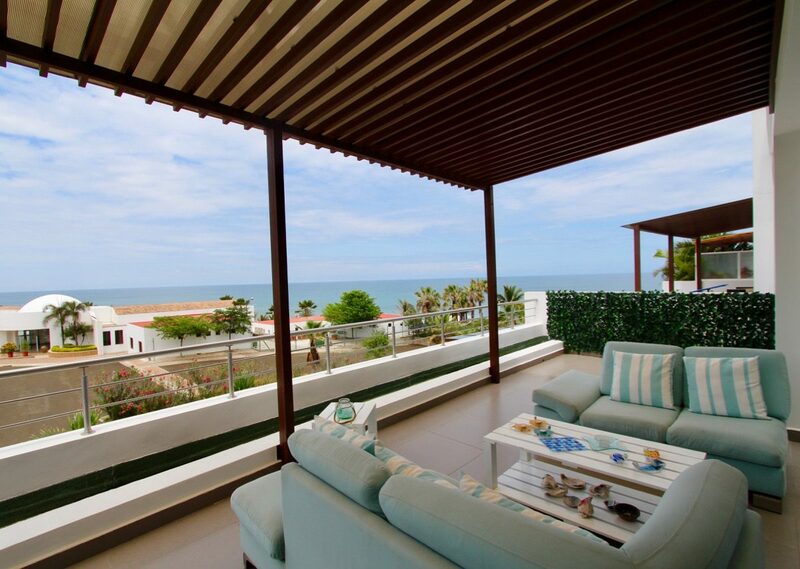 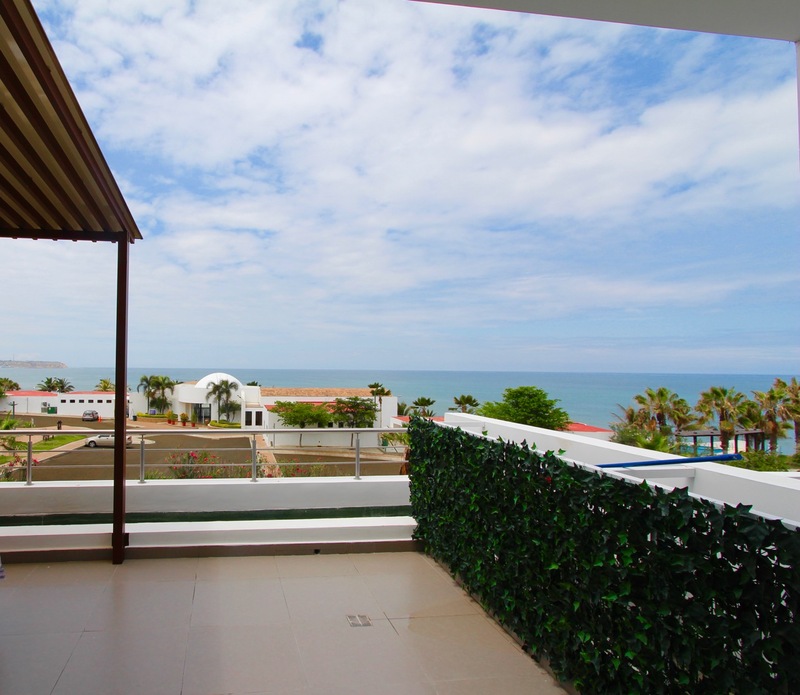 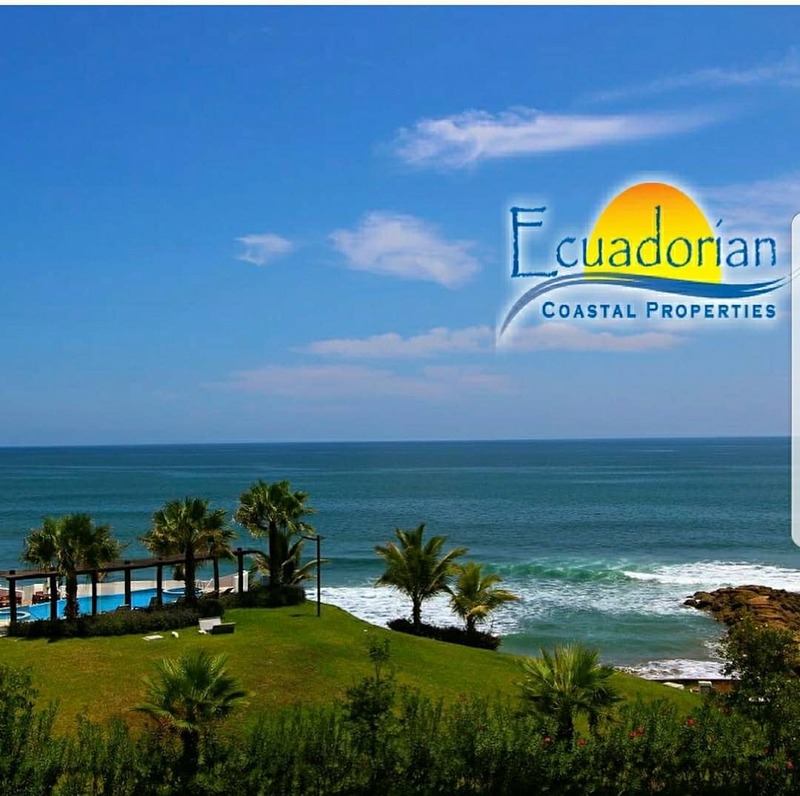 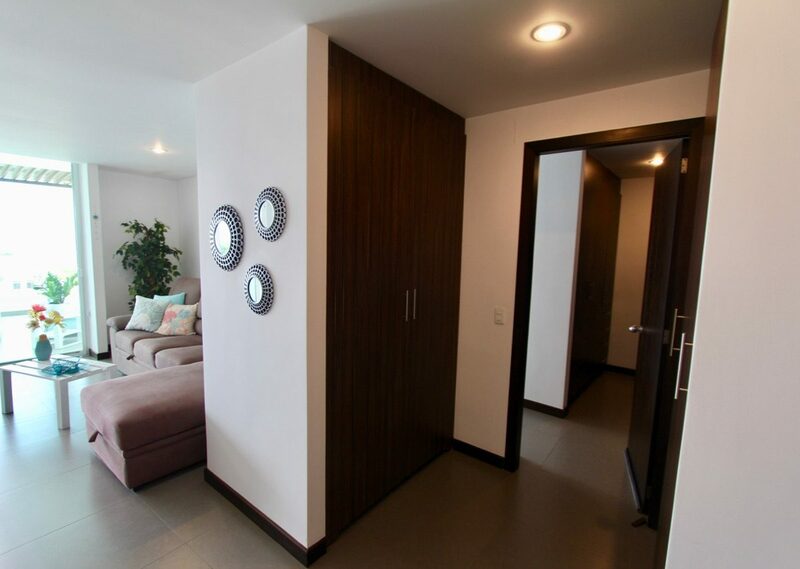 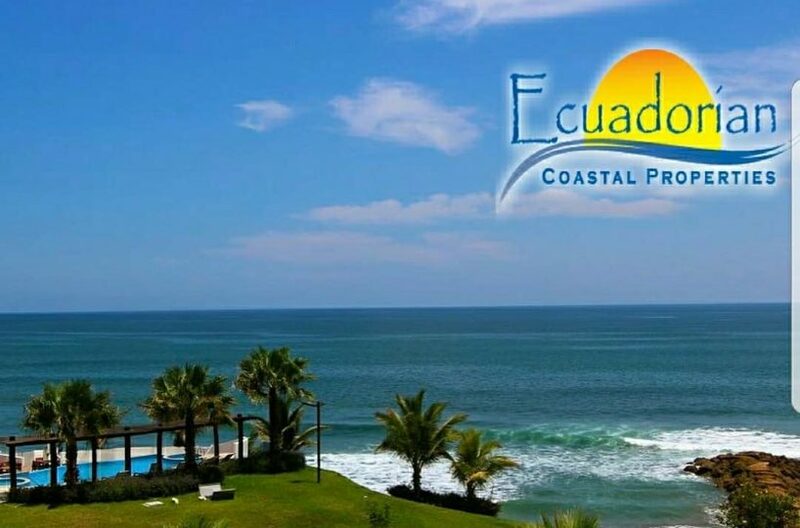 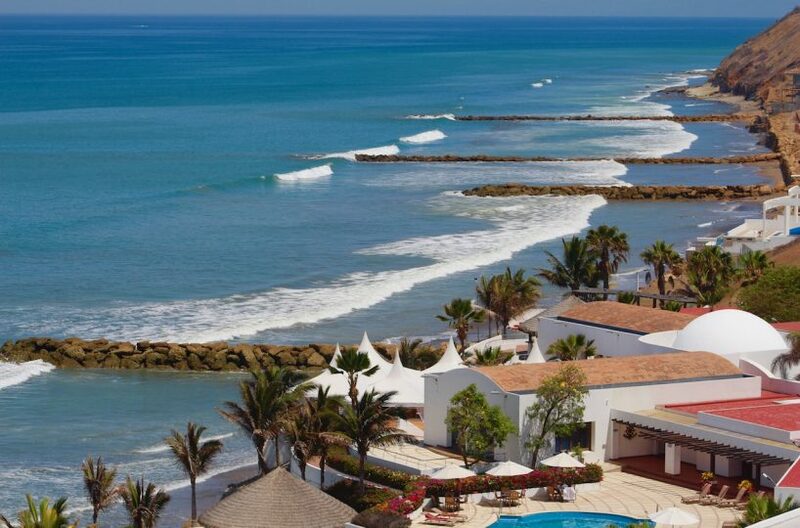 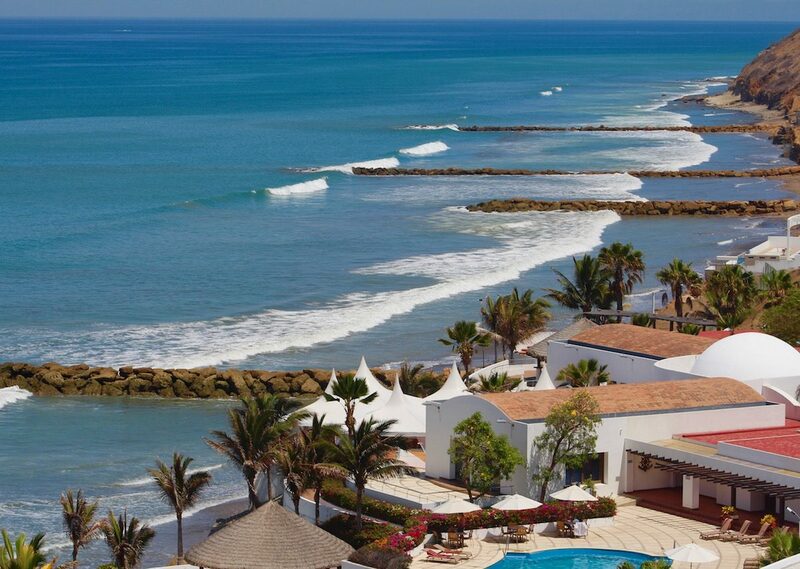 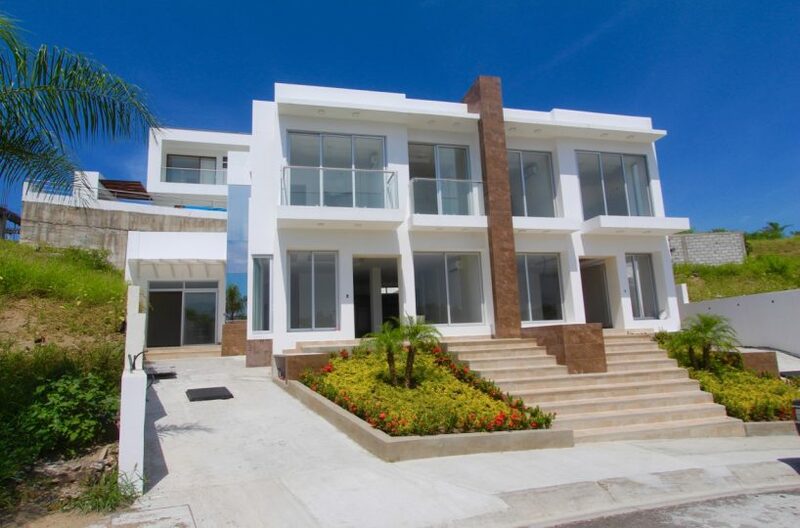 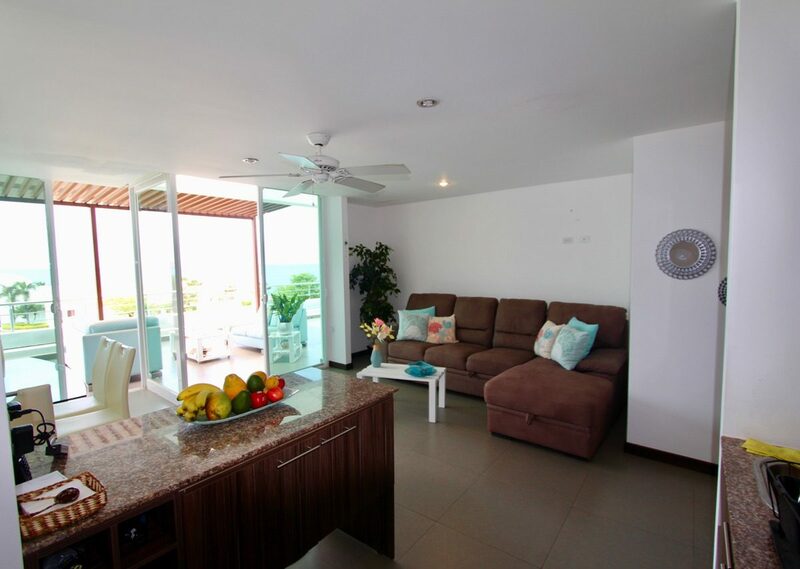 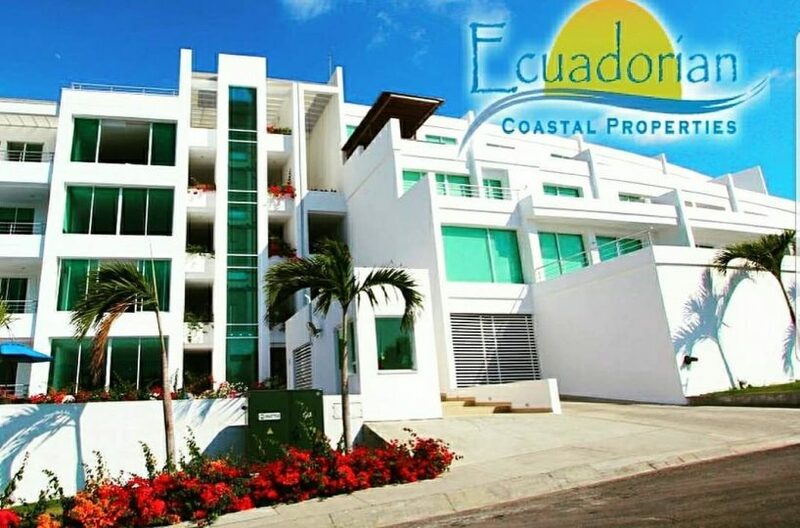 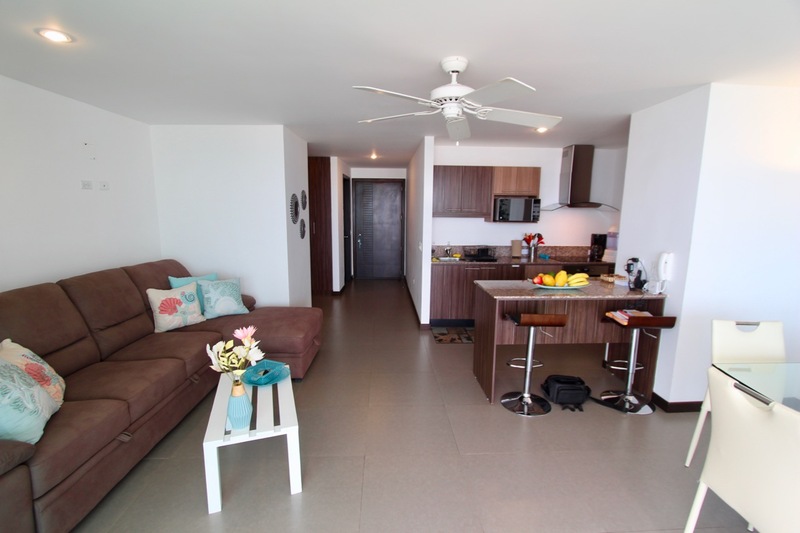 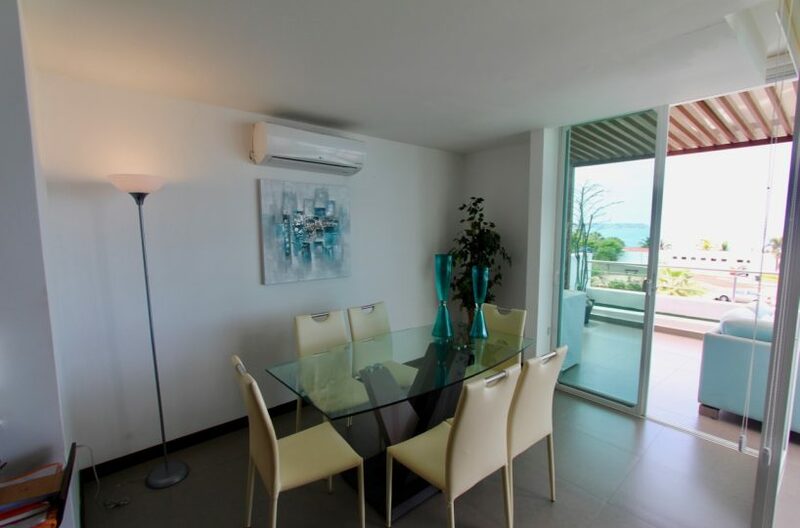 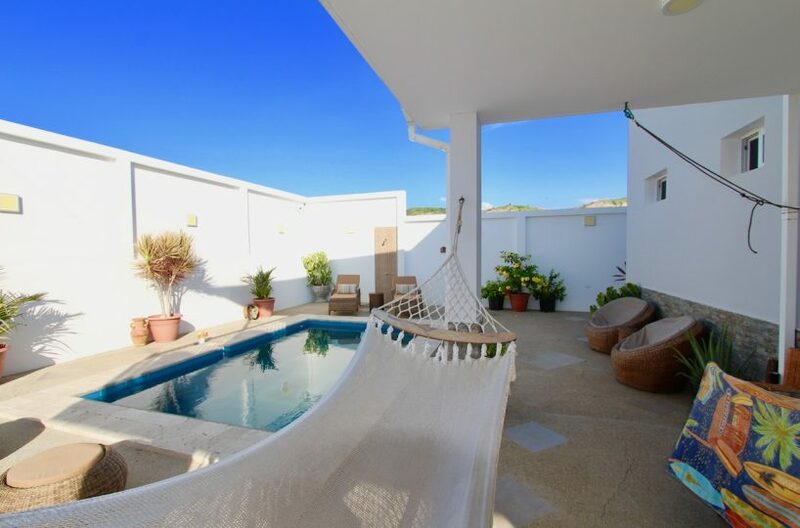 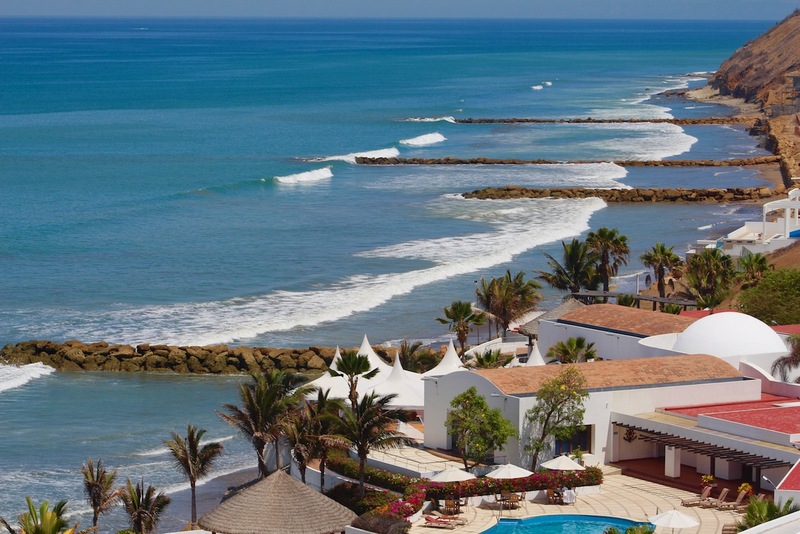 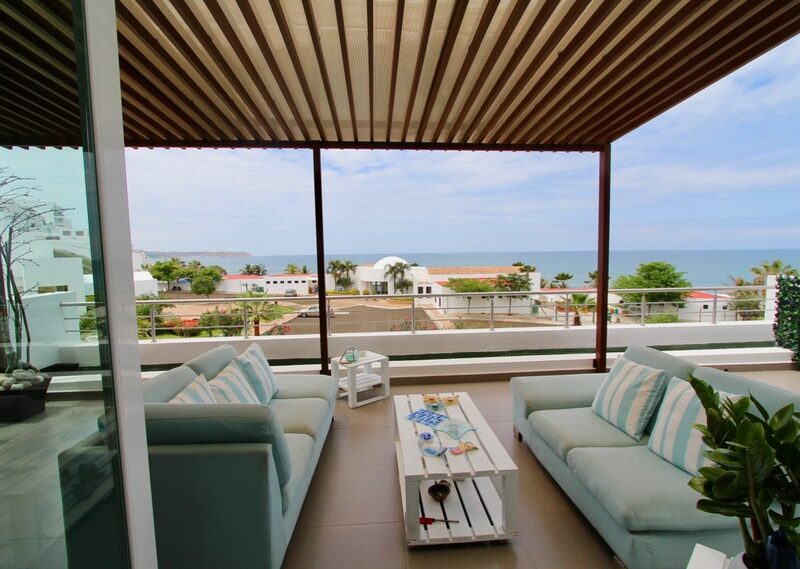 This is the largest and most beautiful 1 bedroom condo on the coast of Ecuador just south of Manta. 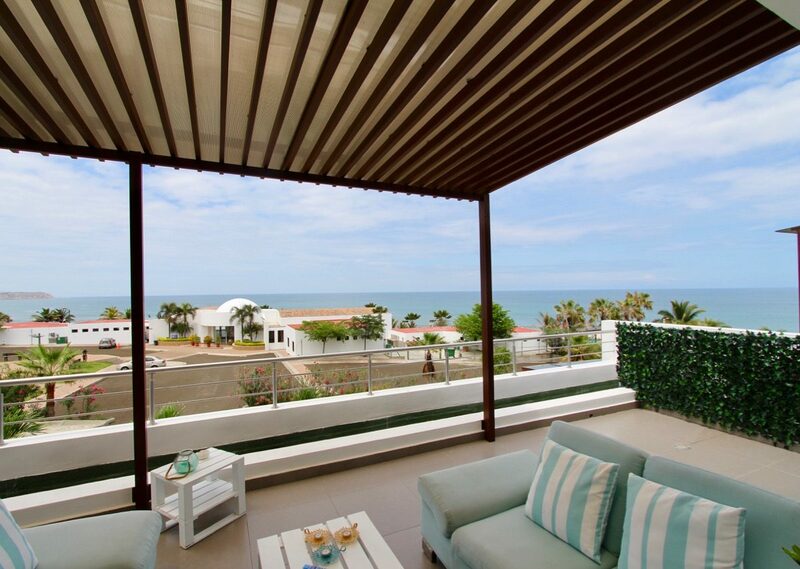 The balcony itself is the size of most 1 br. 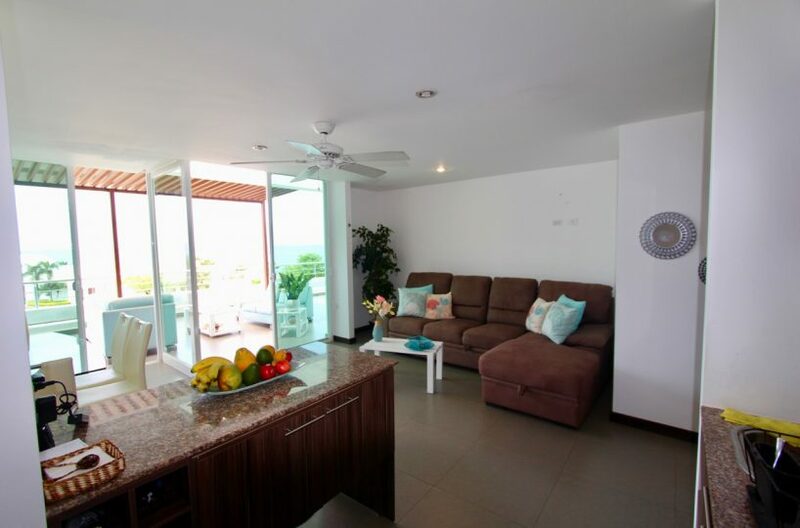 condos here and the furniture is spectacular. 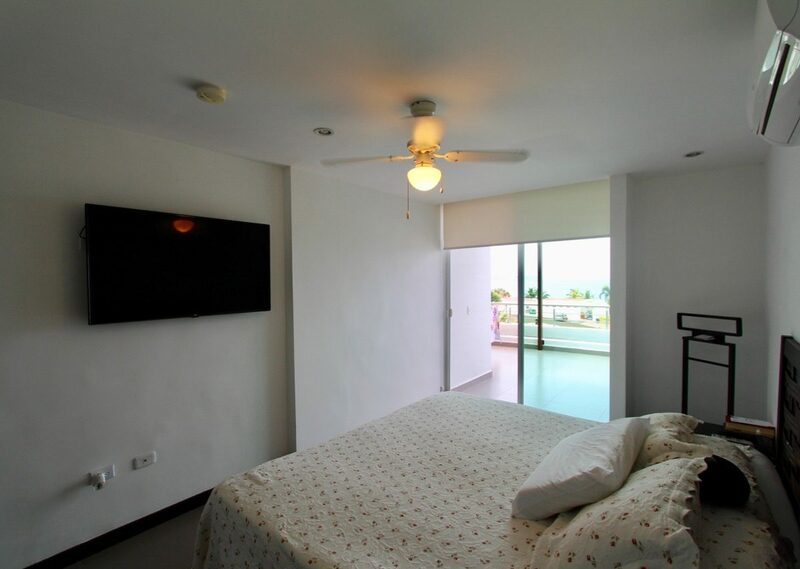 Not to mention a large sun cover that protects you and the balcony from the warm sun here in Manta. 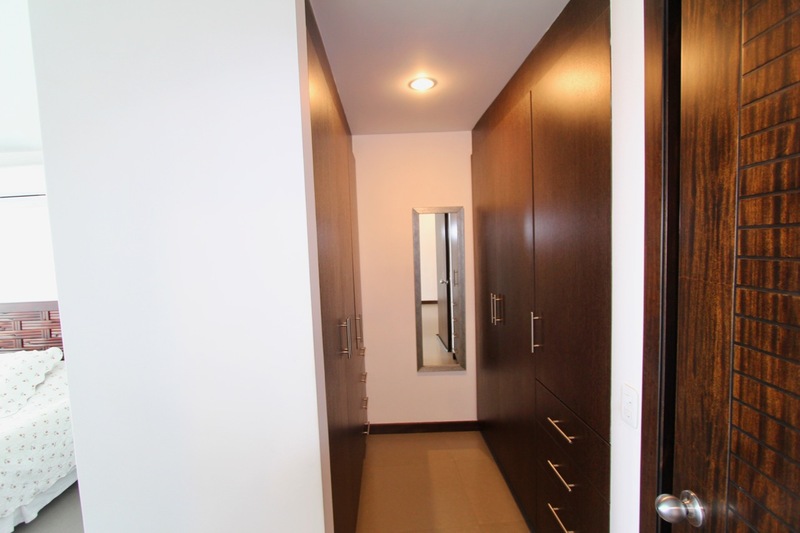 The bedroom is large and includes a walk in closet and a private bathroom. 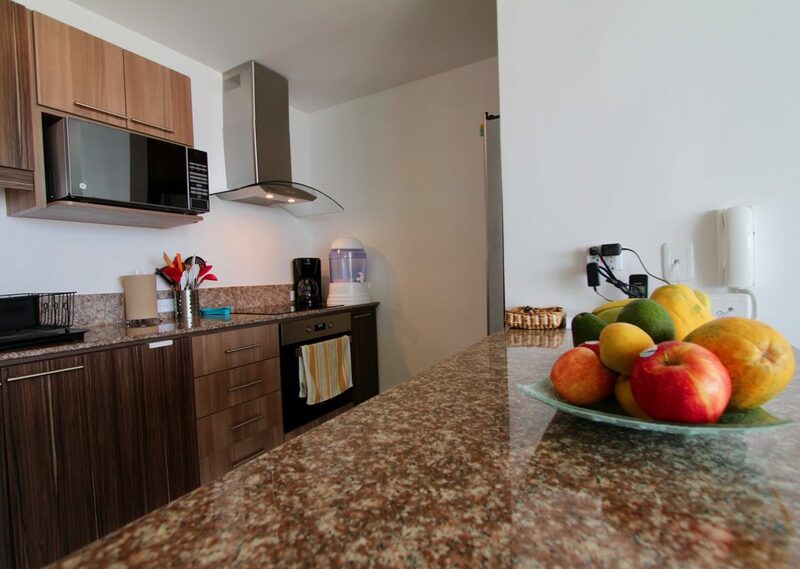 The kitchen is a galley style with a direct view to the Pacific Ocean. The kitchen includes all appliances including a cooktop, oven, microwave and refrigerator. 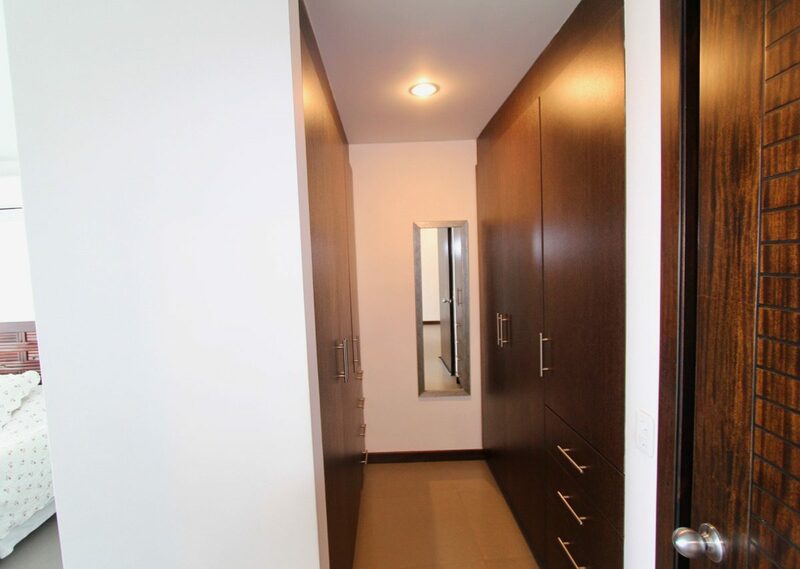 The garage is large and has plenty of parking space. All in all you will have more room in this 1 br. 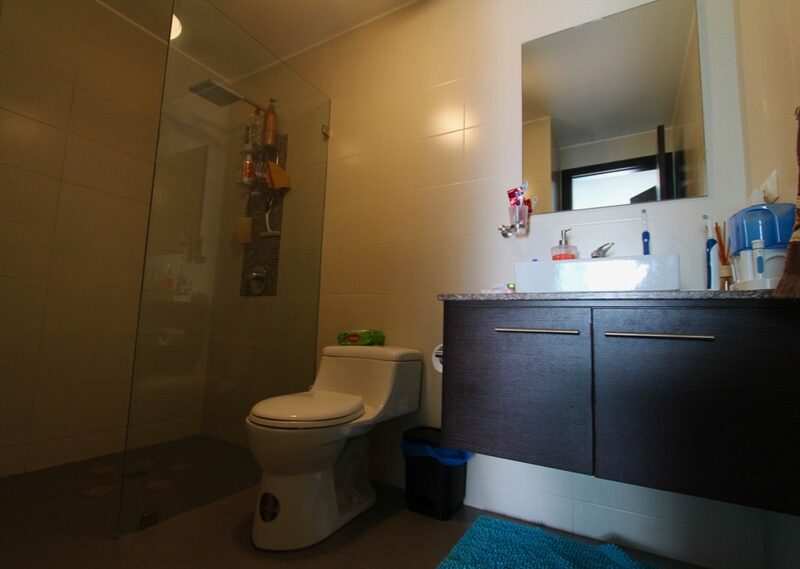 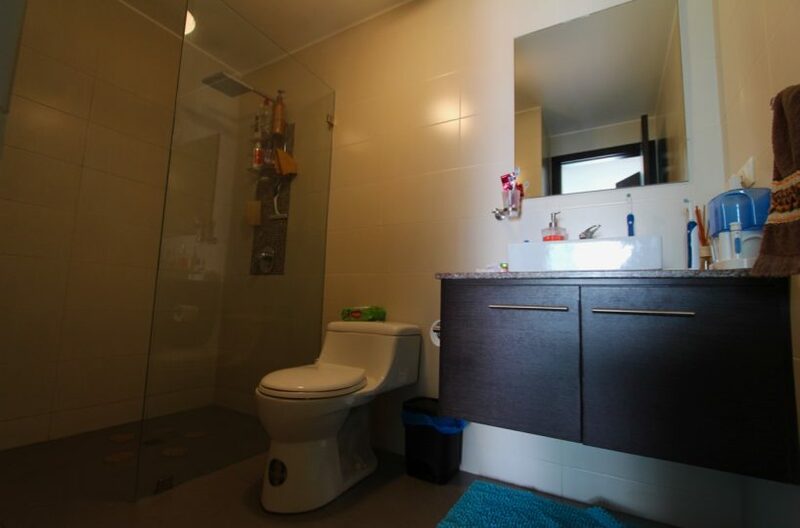 than you will in an average 2 br. 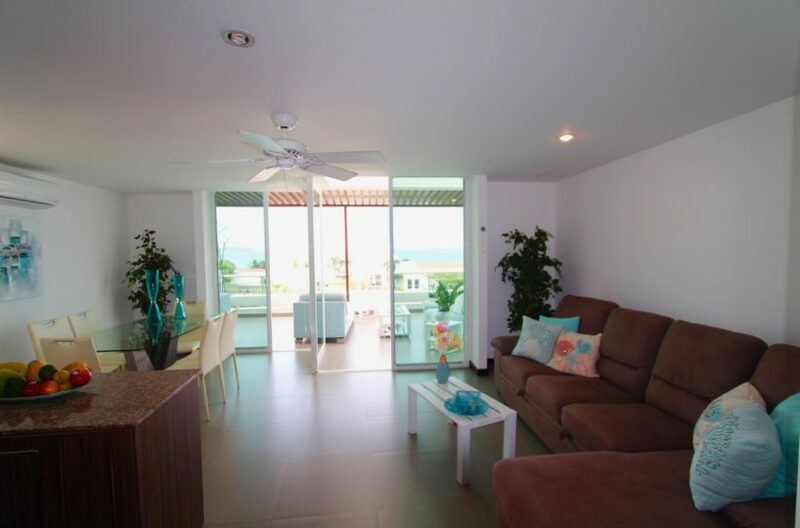 Come see and be the first to get a great deal on one of the best condos in Manta.